Experience the competitive thrill of traditional Curling, only without the fear of frostbite! Maximillion’s Indoor Curling activity takes place on long, specially designed carpets which mimic the effects of a frozen loch. Originally developed in Scotland, this activity has featured in every Winter Olympics since 1998 with teams competing from Europe, Scandinavia, Asia and North America. Following a welcome and briefing from the umpire and event team, the group is organised into teams for a knockout style tournament. A scoreboard will be maintained, charting teams progress throughout the activity. The carpets are arranged side by side with the bullseye target at the far ends. Using super slippery curling stones, teams strategically slide their stones, in turn, towards the bullseye scoring points for accuracy and for knocking their opponents stones out of the park! Upgrade your Carpet Curling activity to one of our Indoor Highland Games Packages, known as “Braveheart Games”. Curling becomes a rotational activity alongside the likes of; Piping & Drumming Workshops, Scottish Country Dancing and Tartan Games i.e. Mini Caber Toss, Irn Bru Hoopla, Potato Toss & Haggis Shy. For more information on Carpet Curling, please contact us via our online form OR call us directly on 0131 333 0066. 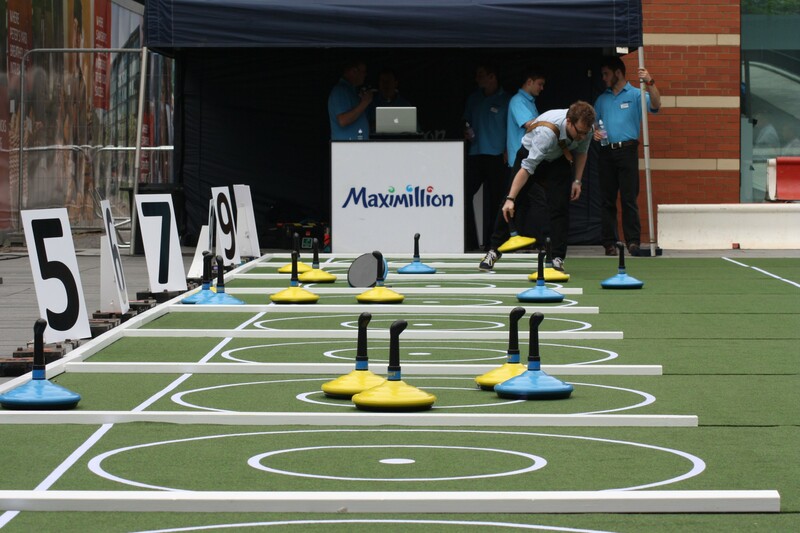 Maximillion offer a wide range of indoor and outdoor team building activities to suit different group sizes, objectives and budgets throughout the UK and beyond.